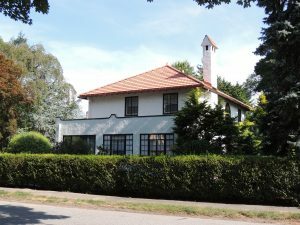 Ceramic Tile, although not as popular as other roofing materials here in the North East is a quality roofing material that has many choices that complement the architecture of our region. Although expensive and logistically challenging to install Ceramic Tile offers a vast range of colors and styles that look beautiful with any architectural style. Triple M Contracting has years of experience installing these roofs and working with such suppliers as Ludowici to ensure a perfect match when performing repairs. Wooden Shingles, Cedar Shake and the like have been a popular roofing material for years with its greatest popularity in the Western parts of our country. Here at Triple M Contracting, we are both experienced and qualified to install and maintain Wooden Roofs. However, we discourage the installation of new wooden roofs. We find that without extensive maintenance they usually last no longer than 20 years. Considering the cost of a wooden roof we do not feel that installing a wooden roof is not in the best interest of our customers regardless of style. 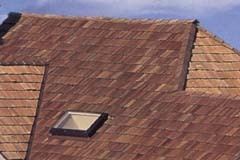 Cedar Shake is a traditional roofing material common to the North East and North West regions of North America. 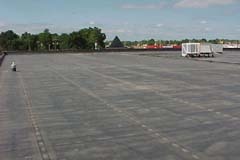 Rubber Roll roofing is an inexpensive alternative to copper commonly used on flat or low slope roves. However, finding such inevitable pinhole leaks is often a daunting task that presents itself once notable water damage has already occurred.